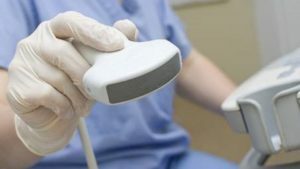 A hospital in Western Pennsylvania has recently been hit with a class action lawsuit from patients who underwent ultrasound procedures at the hospital. UPMC Jameson, a hospital in the UPMC Health System, had recently reached out to more than 200 patients who underwent ultrasound procedures at the hospital from October 2017 to October 2018. “On Thursday, we decided to file a class-action lawsuit,” Hartman said Monday morning. “We got a good amount of calls in the office, and we were able to get a better picture of what happened. Contacted by email, Lisa Lombardo, senior public relations manager, said the hospital had no comment beyond the statement it released last week. UPMC Jameson also contacted all potentially affected patients with additional information, offering free precautionary blood and urine testing to ensure patient safety. The plaintiff in the suit alleges that in “June/July 2018” an ultrasound procedure was performed while the plaintiff was two months pregnant. In the court filing, the plaintiff claims, “on our about Oct. 30” the plaintiff “received a phone call from a representative of UPMC Jameson, warning for the need to obtain testing to determine if the patient contracted an infectious disease from exposure during the ultrasound.” Patients were tested using a blood draw or urine sample. The suit alleges that ultrasound probes used in internal prostate, obstetrical, and gynecological exams must under go high-level disinfection between usage, and UPMC Jameson was not following the procedures. The infection risk with ultrasound probes and all probes and flexible endoscopes continues to be a major worry for hospitals. Facilities must ensure staff are trained on general infection control principles and must adhere to reprocessing best practices. To ensure that your staff is following reprocessing best practices on every probe or scope they disinfect, install additional checks and balances into your workflow so that you can document that your staff is following the same process each time. Software systems such as iRIScope have been introduced in recent years to help hospitals and surgery centers ensure that each of their flexible endoscopes is reprocessed the proper way each time, and documentation of their reprocessing is kept electronically using advanced RFID technology. Any instances of employees bypassing the proper workflows can be alerted in real-time to avert any patient safety risks. Staff that needs re-training can also be identified using the reports coming out of the system that identify missed steps in the HLD process and the most common offenders.